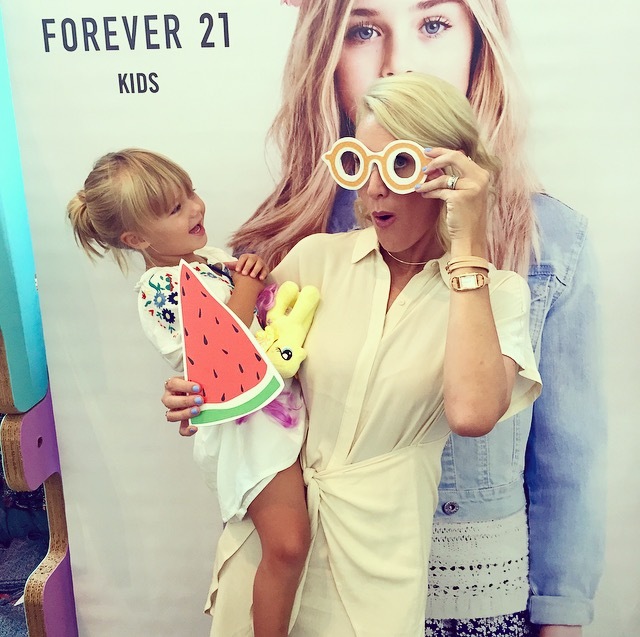 Last Saturday I had the pleasure of hosting the Forever 21 Kids Pop-Up Shop at the Dolphin Mall in Miami, FL. 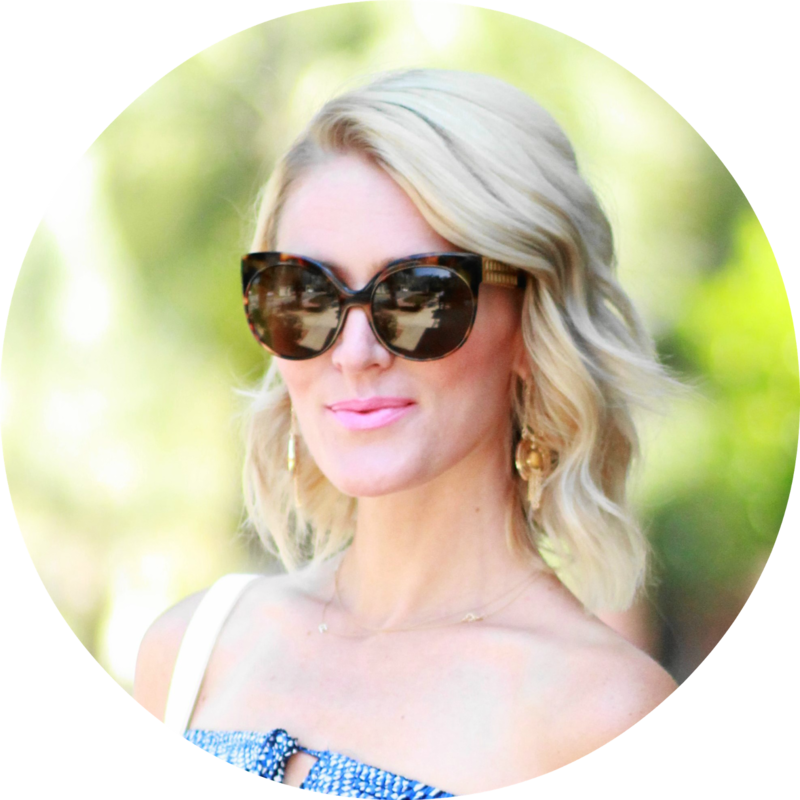 There was DIY bracelet making, face painting, and of course, SHOPPING! The turn-out was so great! So many people came to check-out the new collection. 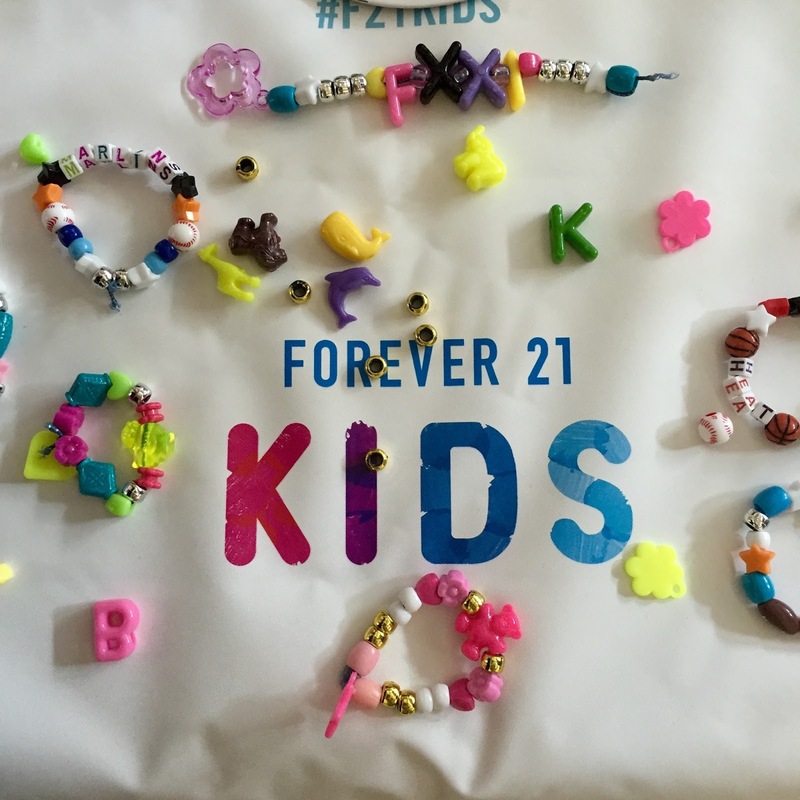 The DIY bracelets were also a big hit! 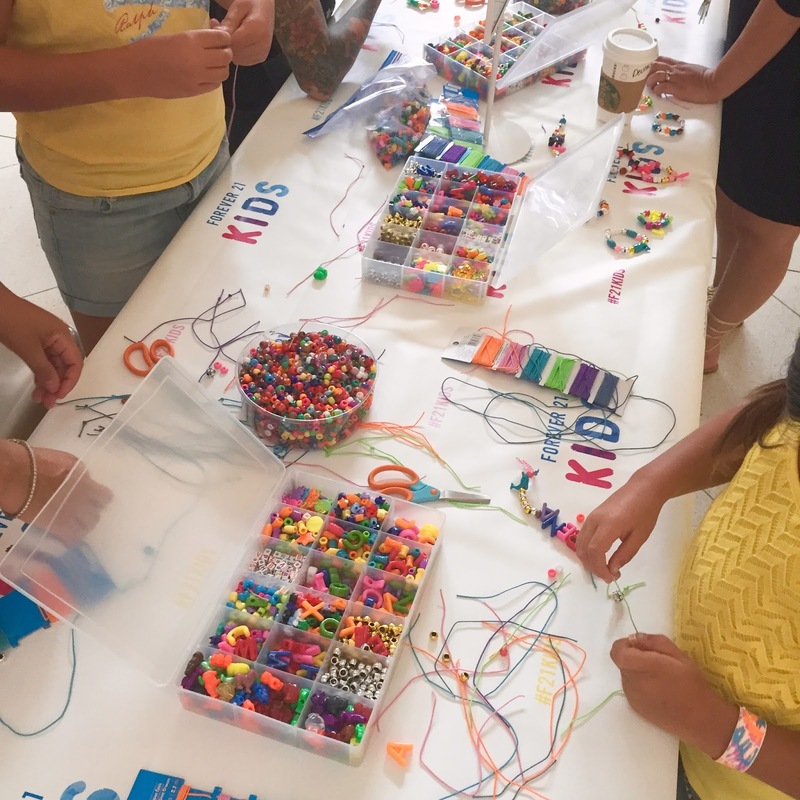 I loved helping the kiddos make their bracelets, as well as talking with their mom's and dad's and helping them find the perfect outfit for their kiddo. 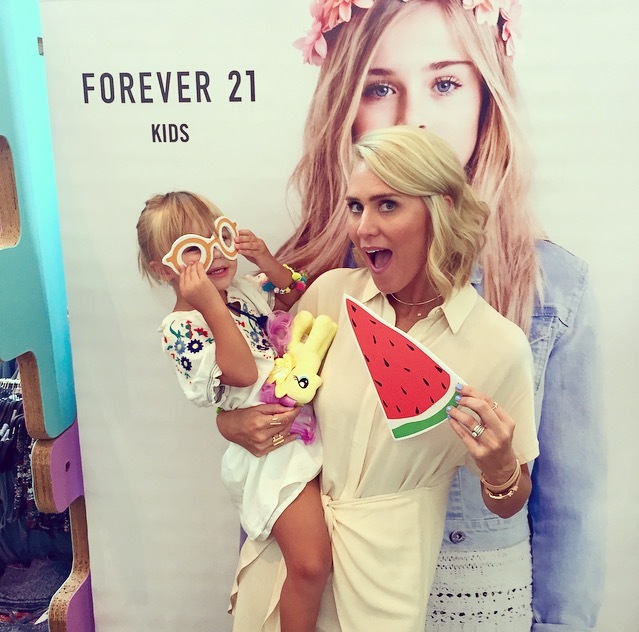 Forever 21 has so many great styles for the little ones, and of course the prices are so good! 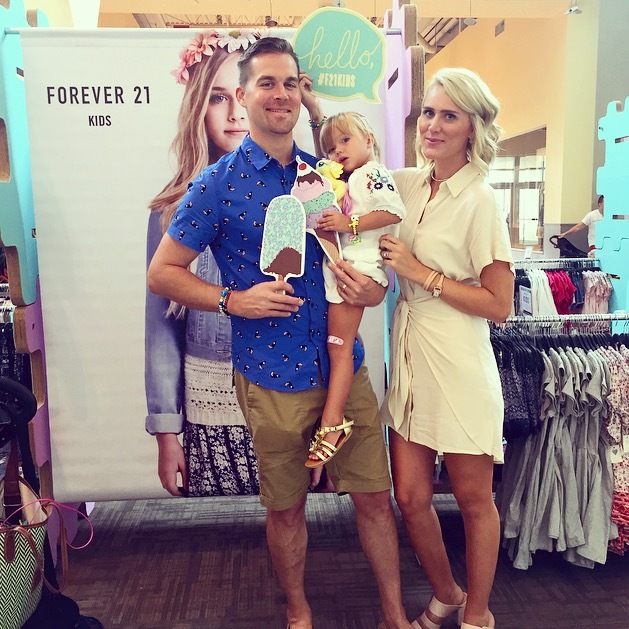 My daughter, Courtney wore a Forever 21 Kids embroidered peasant dress (sadly, no longer available) to the event. We belted it and she looked like a little bohemian princess -- so cute! 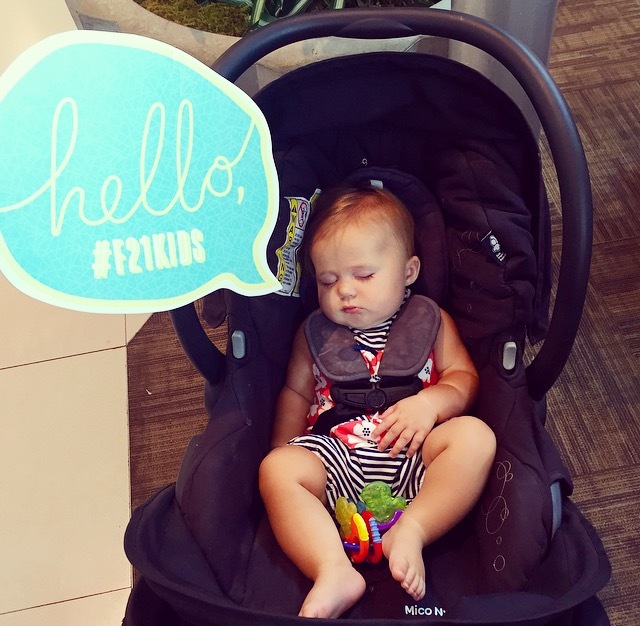 Bridgett was passed out during the event, but we still got a selfie of her w/ the Forever 21 Kids bubble prop! ;) I had such a great time at the event! 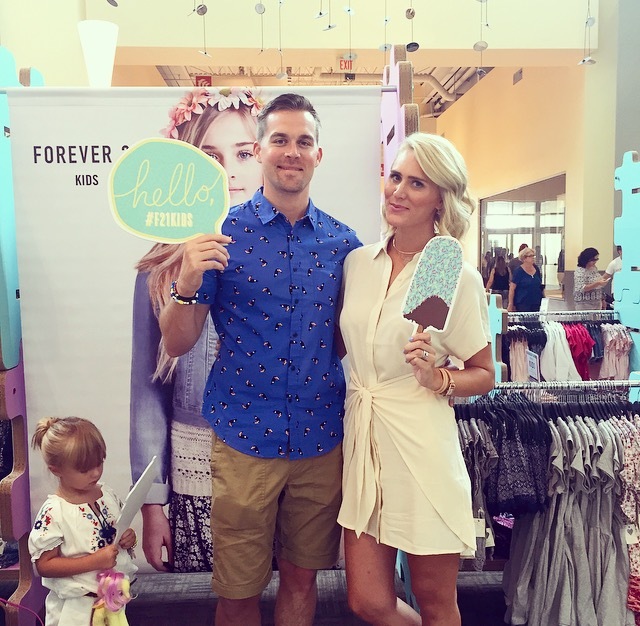 Thanks to Forever 21 and everyone who came to the event!